More compact that traditional welders, inverter welders are great for those who require portability. Whether you’re a skilled tradesperson who needs a mobile welder to take to different jobs, or a DIY enthusiast looking for a lighter, smaller model, our selection of inverter welders is ideal. More compact that traditional welders, inverter welders are great for those who require portability. Whether you’re a skilled tradesperson who needs a mobile welder to take to different jobs, or a DIY enthusiast looking for a lighter, smaller model, our selection of inverter welders is ideal. We have a selection of inverter welders and inverter welding machines for sale, so browse our range to find the best one for you. Why Buy an Inverter Welder? In addition to being compact, inverter welders are also much lighter than traditional models because they have smaller transformers. Unlike traditional welders, inverters do not require an industrial generator and can also be used in home workshops, making them multifunctional and practical. Inverter welders are also energy efficient, using less power than traditional models, resulting in lower operating costs for both domestic and trade use. 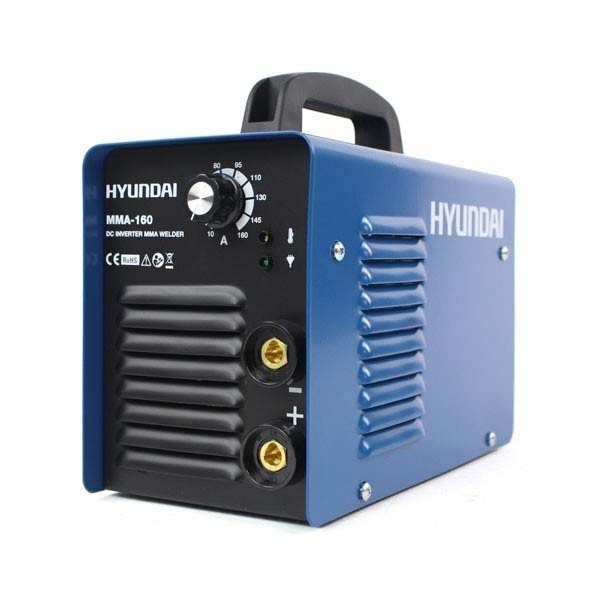 Whether you’re a mechanic or someone who enjoys DIY in their spare time, our inverter welding sets from the likes of Hyundai are a great choice. Designed with thermal protection, these inverters are safe to use in home workshops and at work, and come with earth clamp, electrode holder, wire brush and chopping hammer. We have inverter MIG welders, inverter TIG welders and inverter ARC welders for sale, so you’re bound to find the right machine for your needs. Choose from 120A, 160A, 180A and 200A machines, depending on your requirements. As inverter welding machine suppliers, we only offer our customers the best portable inverter welding machines. Order your MIG, TIG or ARC welders before 4pm today and receive as early as tomorrow. 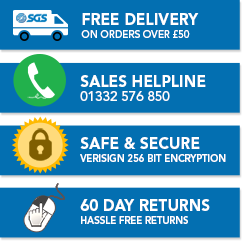 Other delivery options are also available on orders from this range and the team at SGS Engineering can advise you on everything from ARC welders to which types of inverter welders are best suited to which tasks.